Our BRADLEY is part of a collection conceived for demanding customers who want accessories for business and leisure that feature a perfect balance of design and practicality; is created using vegetable-tanned leather that is stocked, hand-padded and then polished with an amber roller. This particular treatment makes the leather both supple and strong, with a very full-bodied feel, an effect that is further enhanced with use and the passage of time. 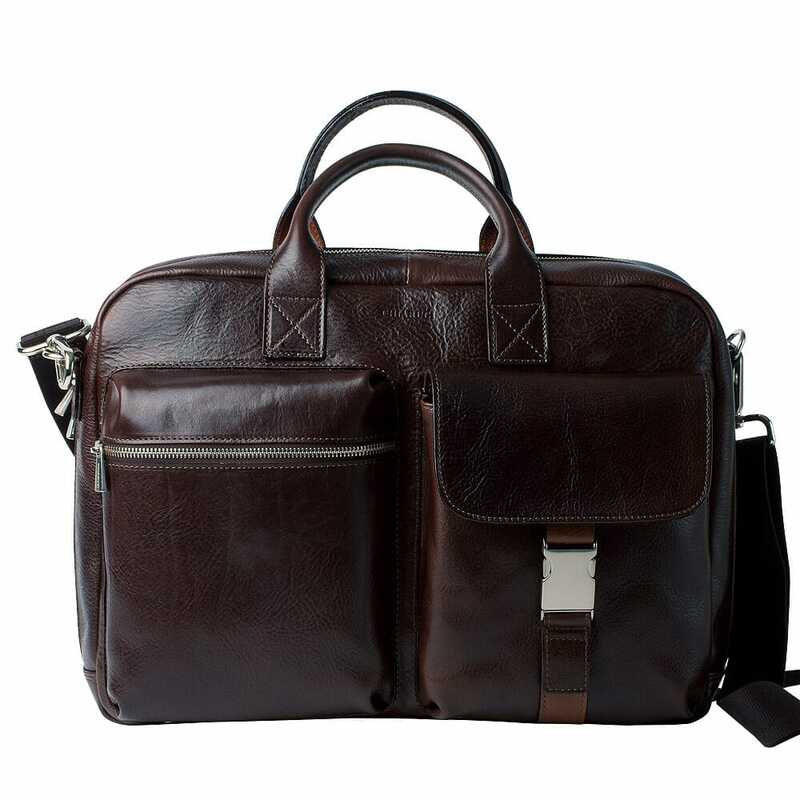 A bag that will not go unnoticed for style, details and lines studied in detail; capacious, functional thanks to the different pockets and compartments that compose it, moreover the laptop holder in durable fabric is removable to allow you to compose your bag as you see fit. Do not miss the opportunity to own a bag so complete and treated in detail! Other details extractable laptop cover, 15"